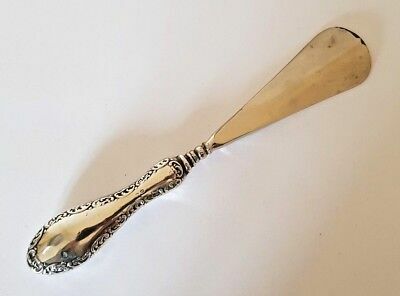 Silver Handled Shoe Horn Hallmarked Birmingham 1910, Boots Pure Drug Co, 7.5 "
Antique Hallmarked circa 1904 Silver Handled Green man Design Shoe Horn. 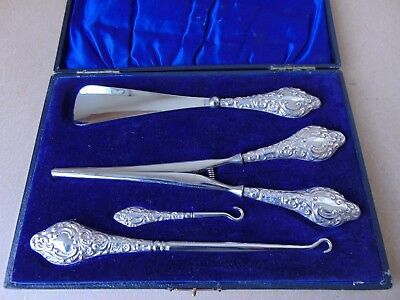 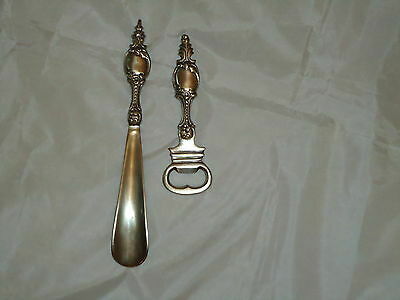 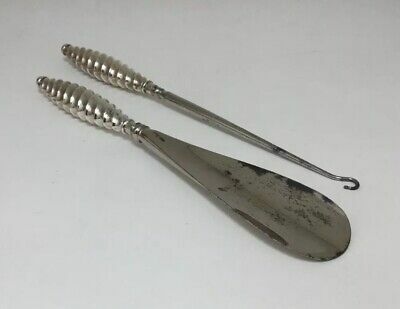 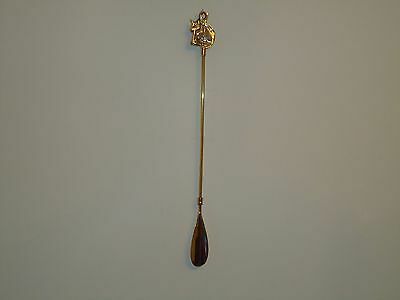 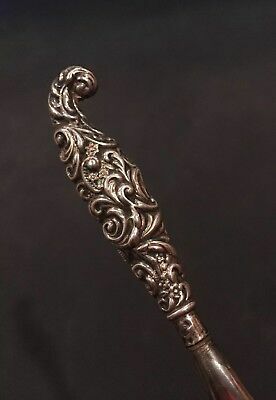 Antique Chester Silver Handled Button Hook, Shoe Horn, Glove Stretcher Set. 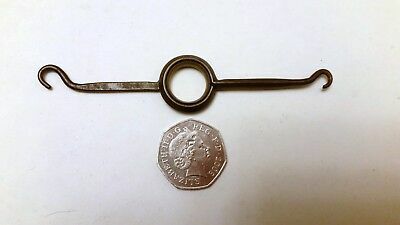 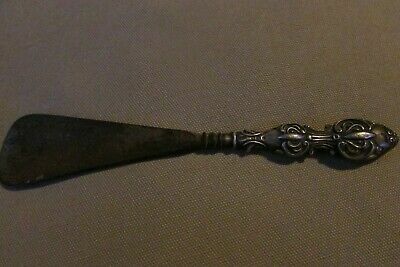 Victorian/edwardian Portable Steel Folding Pocket 2 Size Shoe Button Hook. 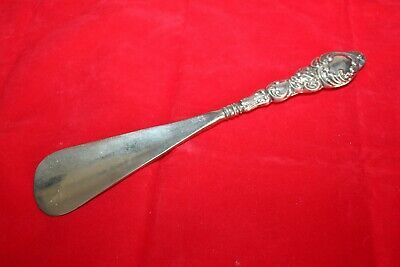 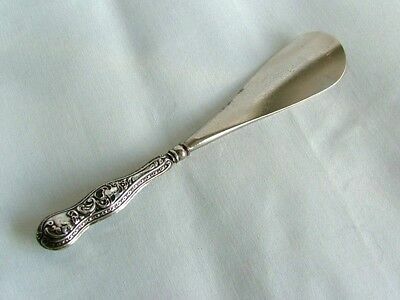 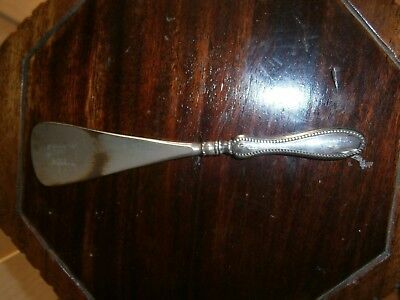 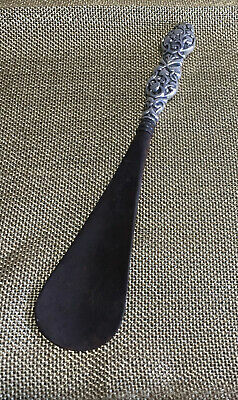 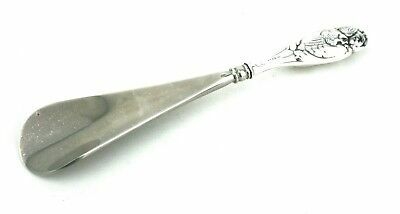 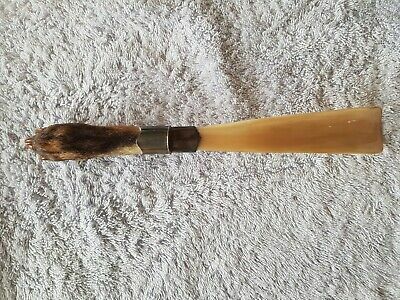 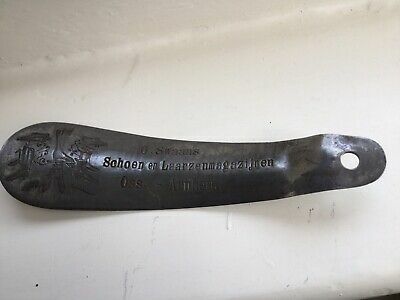 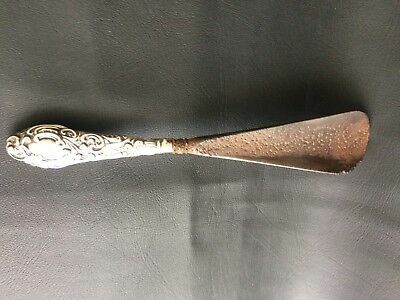 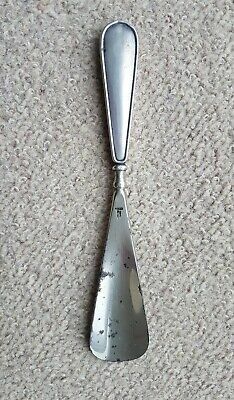 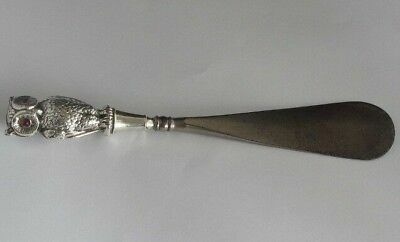 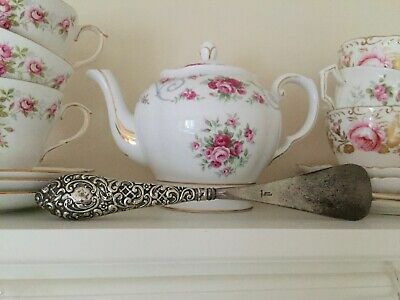 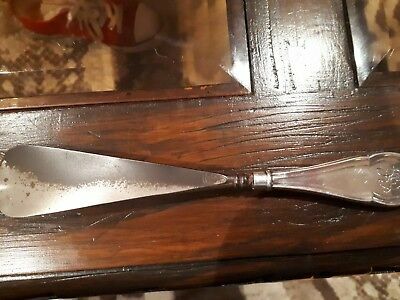 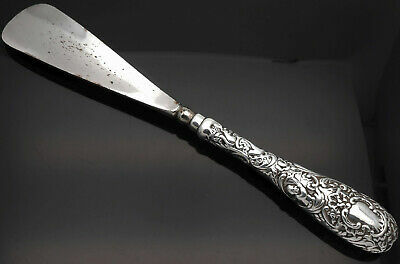 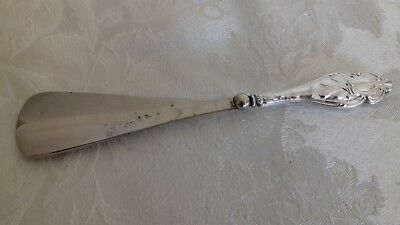 ANTIQUE SILVER HANDLE LARGE SHOE HORN 1904 A.Z maker. 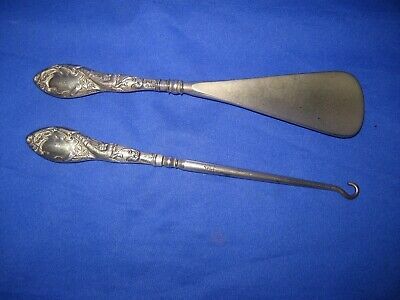 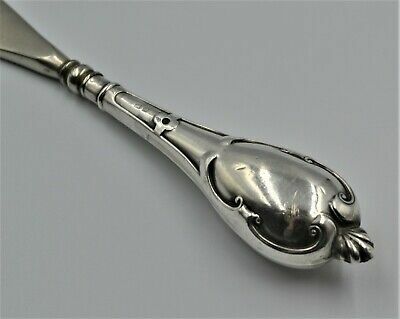 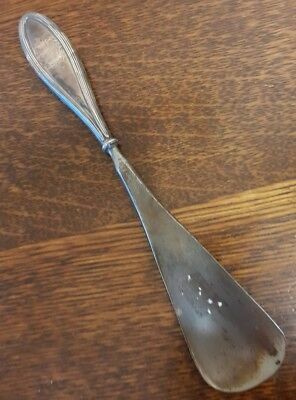 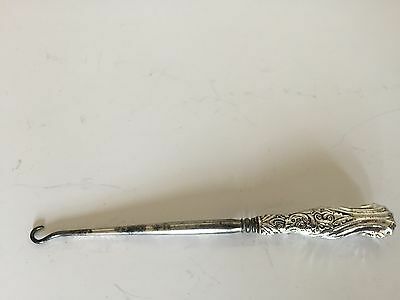 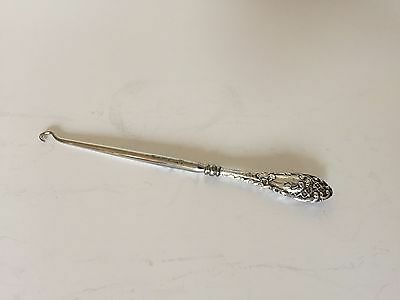 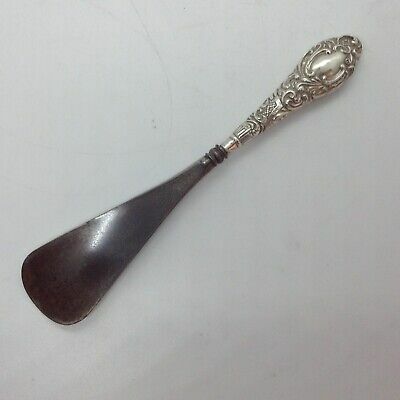 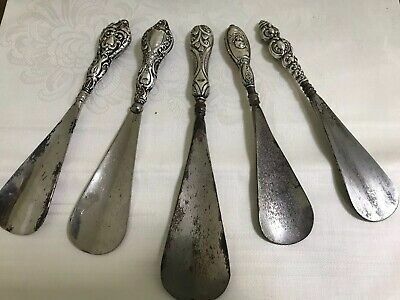 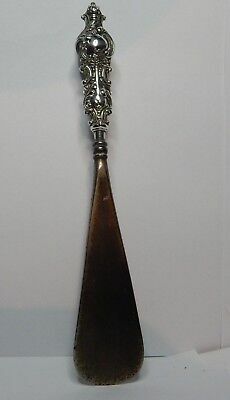 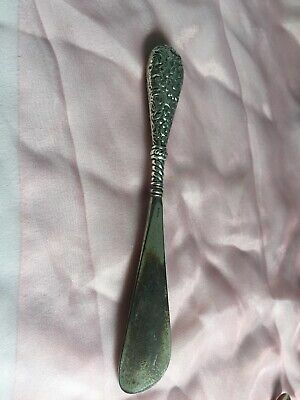 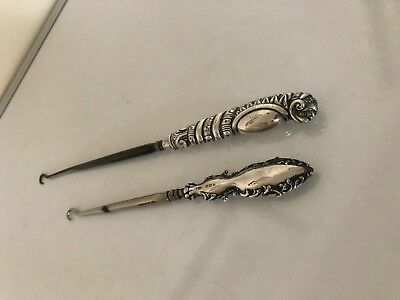 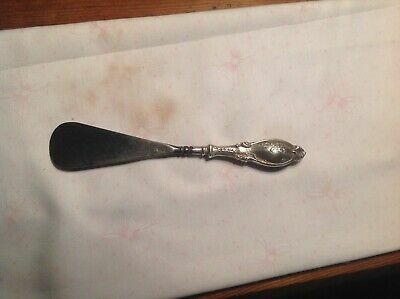 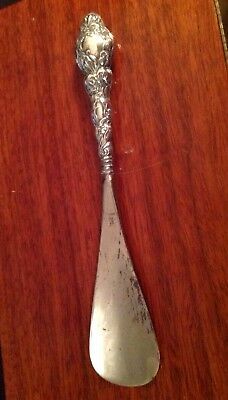 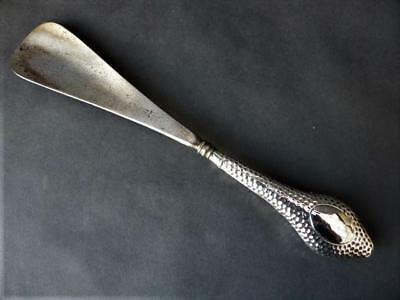 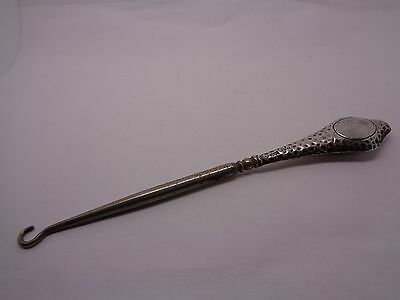 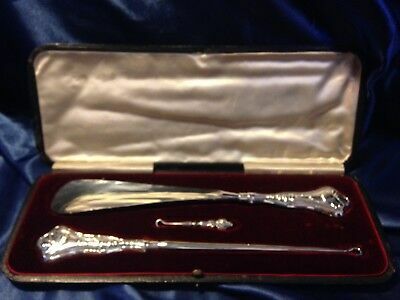 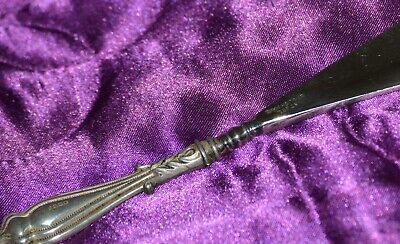 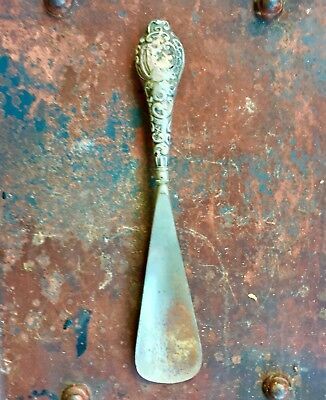 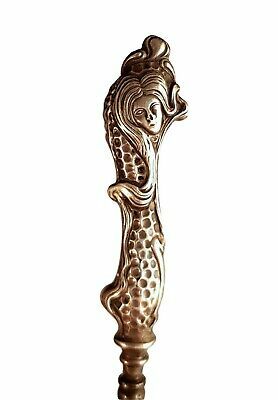 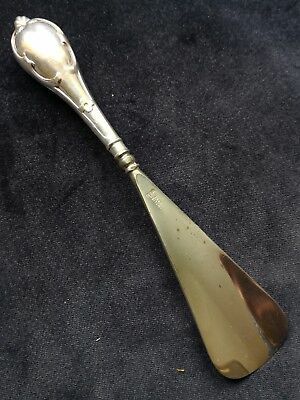 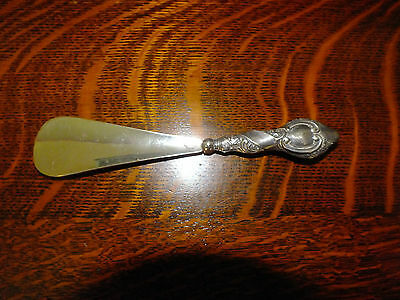 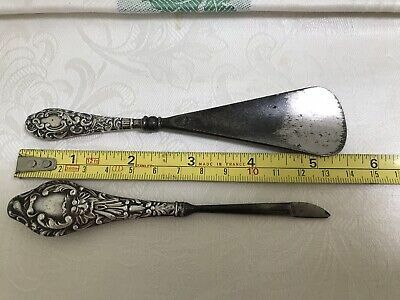 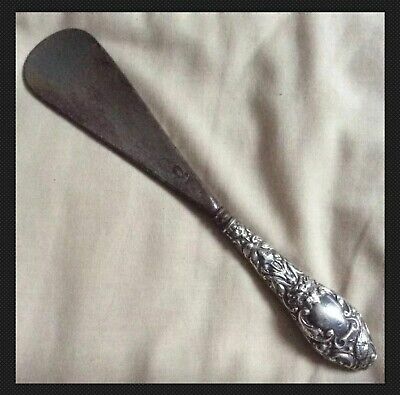 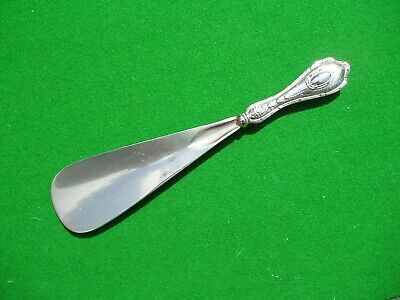 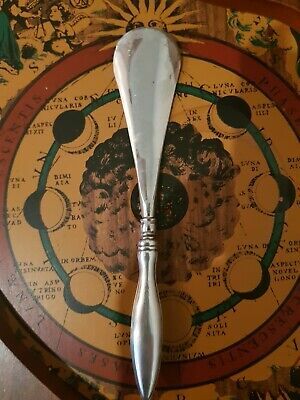 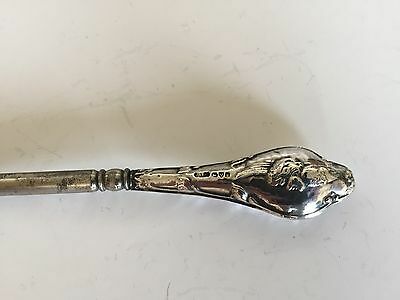 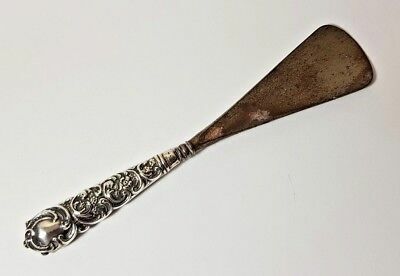 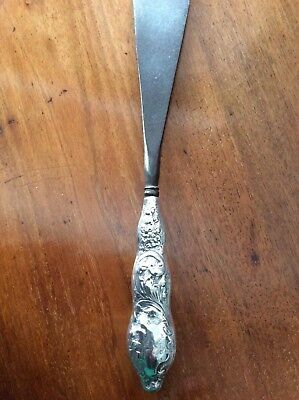 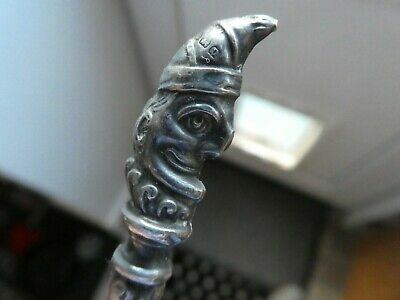 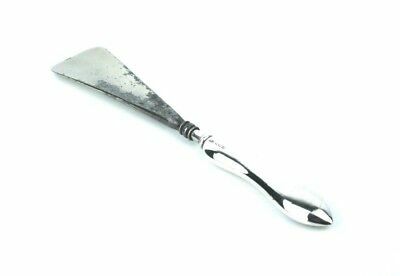 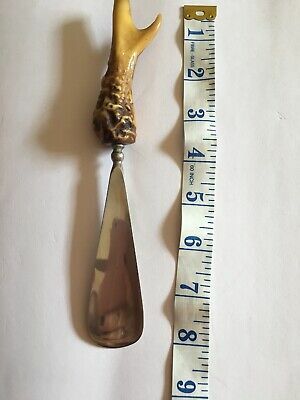 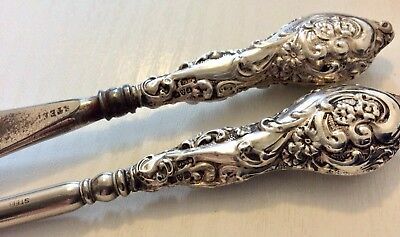 Antique, Silver Shoe Horn. 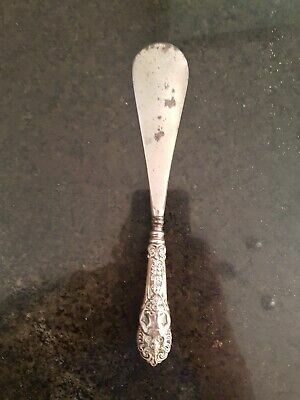 ES Barnsley, Birmingham, 1907.